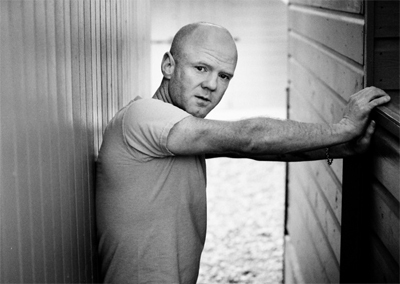 38 year old Glaswegian Jimmy Somerville first shot to fame back in 1984 with groundbreaking band Bronski Beat. Smalltown Boy , their debut single, made the top three in Britain and was a huge hit all over Europe. It not only introduced the world to Jimmy’s unusual “falsetto squeal” as he once described it, but confronted them with a lyric addressing the isolation and rejection felt by a provincial gay youth forced into leaving town. Although not the first pop song to deal with this topic, the chart friendly early 1980s electronic dance sound and the everyday ordinariness and honesty of the three performers, made Smalltown Boy the biggest obviously gay record there’d ever been. Bronski Beat went on to have several lively pop dance hits in 1984 and 1985 including a cover of former gay icon Donna Summer’s I Feel Love , on which they joined forces with Marc Almond. A year of hit records across Europe and the UK, live performances, outspoken interviews and the pressures of new found fame took its toll and, something of a reluctant star, he left Bronski Beat for a rest. In a matter of months, however, he was back forming the Communards with old friend and keyboardist Richard Coles. Over the next three years the Communards enjoyed a string of hits from their two big selling albums – Communards 1986 and Red 1987. Jimmy and Richard’s material was a mixture of good old fashioned “gay” disco and more bluesy, acoustic, political and social comment songs, both of which made a strong impact in the Thatcherite 1980s and perfectly reflected the two sides of Jimmy’s personality as well. One moment the Communards were hurtling to the number one spot, a position they held for four weeks in September 1986, with an energetic, hedonistic cover version of the Philly soul classic Don’t Leave Me This Way , the next stunning audiences into silent awe with their touching lament for a loved one lost to Aids, For A Friend . At the end of 1988, Richard, a former church organist, left to pursue a career in the media as a religious commentator. Jimmy then embarked on a solo career which saw him chalk up another 5 hit singles and two albums; Read My Lips (1989) and The Singles Collection (1990). These included another stirring disco cover of Sylvester’s You Make Me Feel (Mighty Real) , which made the Top 5, and Francoise Hardy’s Comment Te Dire Adieu , a duet in French with June Miles Kingston. He also contributed to the Aids awareness project album Red Hot And Blue , recording a cover of Cole Porter’s From This Moment On . Although he has dabbled in some film work, appearing in Sally Potter’s Orlando and setting up a gay film company Normal Films , with Isaac Julien and others, to produce Postcards From America , which previewed at 1994’s New York Film Festival, the singing voice has taken a long holiday. The album Dare To Love was released in June 1995 and is a typical rollercoaster mix of upbeat pop dance numbers and more serious songs exploring gay issues. The first single was Heartbeat , released in 1995. It entered the UK charts at no. 24 and was no. 1 in the USA dance chart. The E-Smoove and the Armand Van Helden mixes are still being played in clubs today. This was followed by the fabulous cover version of Susan Cadogan’s 1975 Top 4 reggae hit Hurts So Good . It stormed into the UK charts at no. 15 and was followed by an outstanding Top Of The Pops performance. It was Europe’s fourth most played record for four weeks. The next single By Your Side was released in late October ’95 and was supported by a UK tour. 1996 saw Jimmy and his singers doing PA’s around the world. Jimmy was involved in a project called “Respect” and the proceeds of a single and a free festival, held in July 1996, were donated to the Unite Against Racism campaign. Jimmy and his band also completed a European tour during the summer of 1996. Aside from live work, Jimmy has collaborated on singles with The Weathergirls and Sparks. He has also worked on a BMG project called The Heavens, wrote the title music for British TV series Glasgow Kiss and sung the part of a swallow in a children’s animation of the Oscar Wilde story The Happy Prince filmed by Case Television for Channel 4 UK which was shown on Christmas Day 1996. In 1997 Jimmy released a single on various European labels entitled Safe – the track was taken from the album Dare To Love and was remixed by Todd Terry and DJ Tonka. It reached no. 1 in the Spanish charts and was played around the rest of Europe. 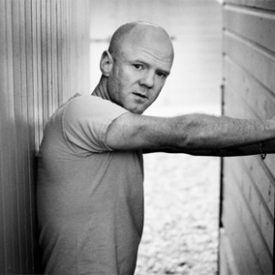 Having left London Records, Jimmy then signed a new deal with Gut Records in 1997 and a new single Dark Sky was released. Jimmy performed at Euro-pride, Paris in June 1997 and appeared live with his backing singers at Summer Rites, London, Mardi Gras in Manchester, Blackpool, Glasgow, Barcelona and many other places. He helped to raise awareness for the Hanover Lighthouse by performing live at a gala benefit concert and filming a documentary which was televised in Germany. The Lighthouse is a rest place where HIV positive and AIDS patients can stay. Jimmy performed at the Astoria in London at the 10th Anniversary Party for the gay newspaper “The Pink Paper” along with The Human League, Kylie Minogue, My Life Story, Heaven 17 and many others. He also sang at the Royal Albert hall at the 1997 Stonewall event. In early 1998, Jimmy travelled a little further a field to Australia where his single “Dark Sky” was being released on Festival Records, and performed live at The Metro Club in Sydney with Adeva and Frankie Knuckles, and also at the Apollo Dance Festival in Melbourne along with Ultra Nate, Daft Punk, Fluke, BBE, DJ Sneak and Jeremy Healy. Jimmy loved Sydney so much he stayed on for a few weeks holiday. He was then approached to appear as a surprise guest at the famous Sydney Mardi Gras festival and ended up closing the show by arriving on the middle of the stage via a trapdoor dressed only in a Freedom flag! He sang to an audience which stretched back for miles. Jimmy says it was the most moving live experience he’s ever had! Back at home in London Jimmy spent the rest of 1998 writing new material with friend Sally Herbert of Banderas and completed recording and co-producing the album Manage The Damage with producer Ash Howes. 1999 the first single Lay Down was released in May in the UK and later in France and Australia. Performing at the benefit “Scotland Rocks For Kosovo” was also a highlight in May. The album followed in June. Jimmy performed all around Europe (Germany, France, Italy, Greece, Denmark & Sweden) including Christopher Street Day in Berlin (July), Euro-pride in Stockholm (July) and Mermaid Pride in Copenhagen (Aug). He also went on a six day whirlwind tour of Australia in September. In November Jimmy performed alongside George Michael, Boy George and Elton John and at The Royal Albert Hall in London for the Stonewall “Equality Show” where he opened the evening with a version of “I’m Coming Out” and performed “For A Friend” with a string quartet. Jimmy has released new remixes of Why (Almighty Mixes) on Almighty Records in the UK. In 2004 he released his album Home again .